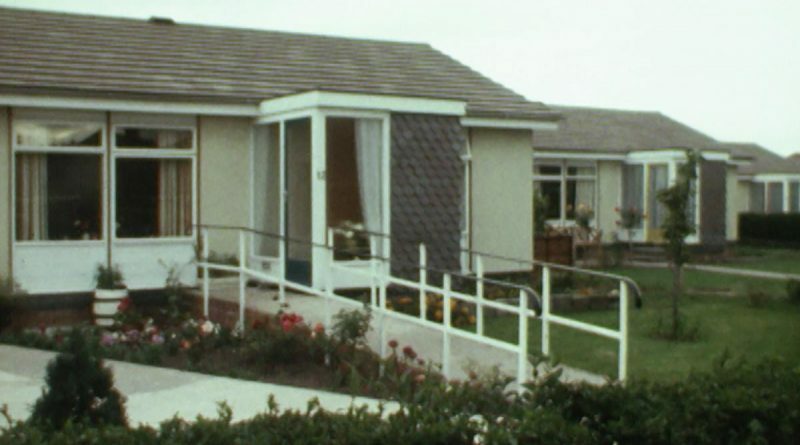 1971: Peter Green talks to designer Peter Dobson about plans to build new prefabricated bungalows at Wellington in Shropshire to preserve the community feel that has developed through the shared experience of post-war prefab dwelling. They may be flimsy but a noble idea from the planners, especially when Green talks to one woman who couldn’t wish for anything better than her beloved bungalow. Peter Green in one shot can be seen leaning over the gate with a fag on! What to do when the post-war prefabs reach the end of their life? Build some new ones, at least that’s the plan at Wellington on the Telford new town development. ← Is your estate set for a share of £1m? And they’re still going today! I know them well. Lovely bungalows! Tracy Hall. Show this to mum, I bet she’ll recognise the residents. Mr Dabbs’ bungalow was there too!